Paper Crafts by Candace: Christmas Gingers! Hi everyone! Happy Monday! I hope you all had a great Thanksgiving holiday! 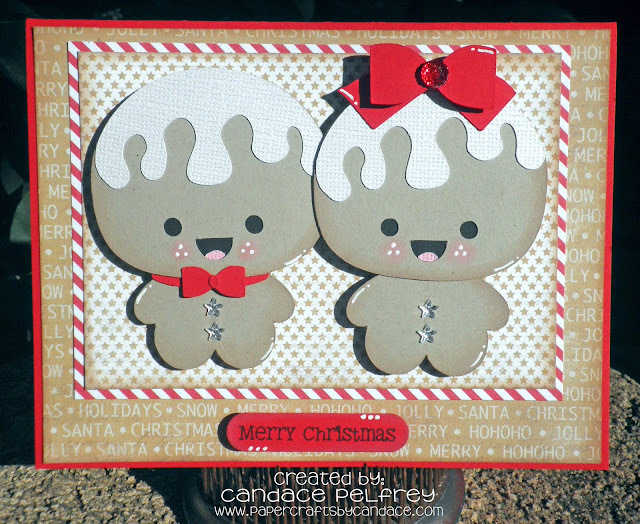 For my card today I used the Gingers from SVG Cutting Files! I love these two! I pop dotted them and her bow! Merry Christmas is from Jaded Blossom's Winter Wishes. Thanks so much for checking my card today! !